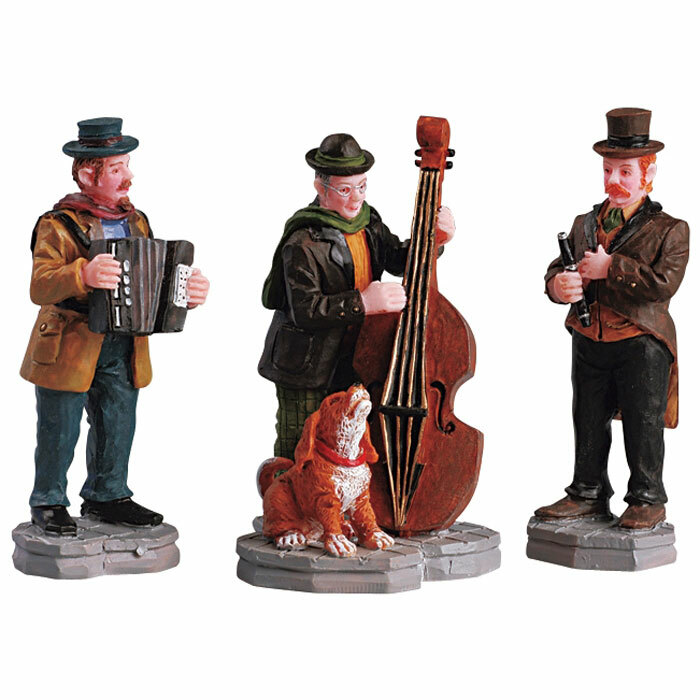 Lemax Streetside Trio Figurines Set of 3 depicts a group of Dickensian street musicians enjoying playing olde thyme musical instruments whilst a dog joins in. A delightful Lemax Village themed figurine set which joined the Lemax collection in 2005. Comprises three delightful individual hand painted polyresin figures on three individual street bases to compliment your seasonal Lemax Village display.